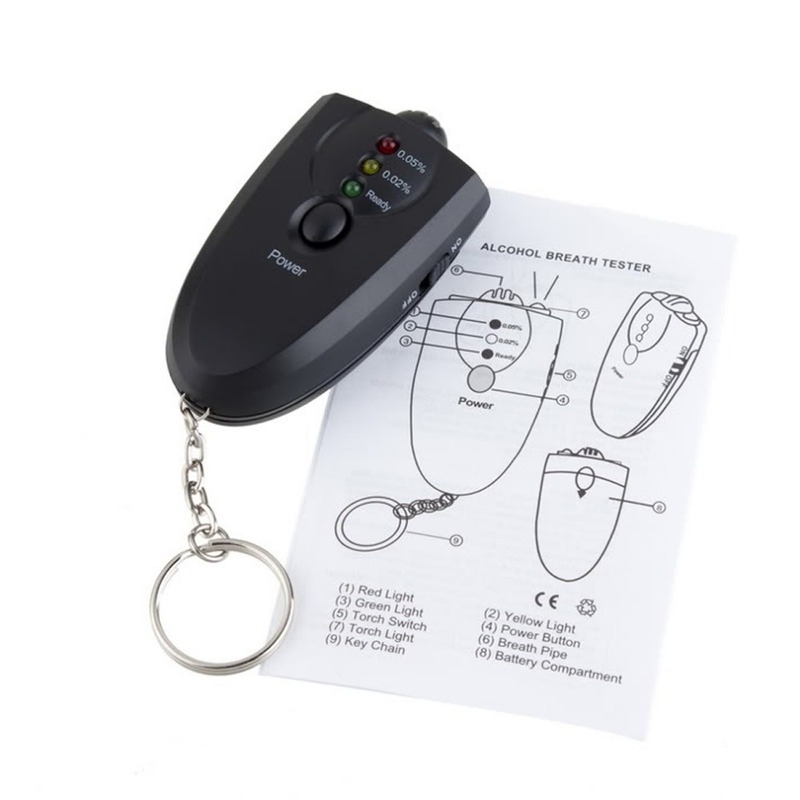 LED Alcohol Breathalyzer Keyring. You'll never forget it, add it to your car keys. A few dollars spent now could save you a hefty fine! Blow a Green light you are set to go. Yellow light caution. Yellow and RED - danger, call a cab!